Hamlet Tinae. I had no idea who he was but somehow we connected on Facebook. It turns out, a couple of musicians I know collaborated with him on this album and I guess that’s how he found me. Since I was seeing all these cool photos of this guy who, in one photo at least, looked like he was from a vampire movie and also appeared with an intriguing band called Fabulae Dramatis, I thought I should check out his music. I ordered this album blindly. Or rather deafly because I had at least seen how Hamlet looks but never heard anything other than a short clip from Fabulae Dramatis. Sometimes it’s really great to get an album that totally surprises you in a good way. I mean, it might not be what you’re into at the moment but it lands in your aural lap and throws cold water in your audio processors and makes you go, “Woah!” and then fall off your spinny chair. If you have one. 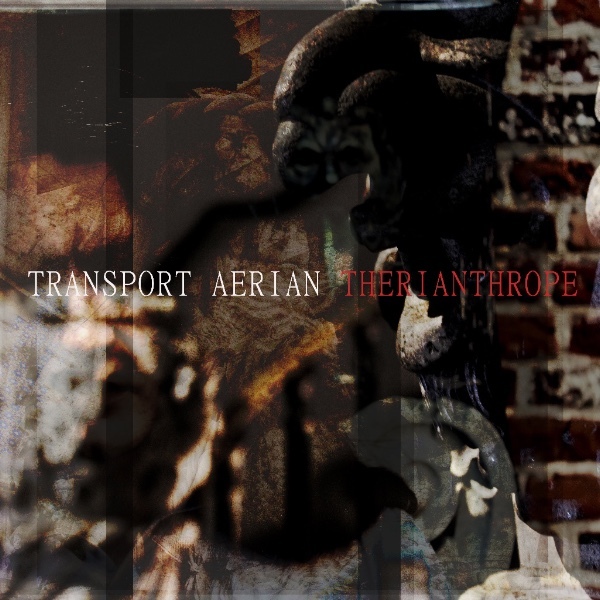 “Transport Aerian is essentially a one-man prog noir project led by a producer and multi-instrumentalist Hamlet. It sets no strict genre borders, knows no musical or spiritual limits. At the different times, the project had been working with different musicians, always changing and shifting its live and studio experiences depending on what the current creative state demands, performing drastically different kinds of music, yet always staying in the shape of poetic, sharp-edged artistic kind. Hamlet has created an album of two approaches. First is the traditional approach of writing songs and composing music. Well, okay, the sometimes clashing notes and dischordency or the unusual blend of instruments is not exactly traditional. But these are lyrics and music created by one man. Then there’s the Abstract Symphony. For these five tracks, Hamlet sent the concept of each track to several outside musicians and asked them to play and record whatever they imagined from the title alone. The five titles are “Information Field”, “Saturate”, “Lovemeat”, “Poor Things Need”, and “Immortals”. From their contributions, which were made without the musicians having any idea of how the final piece would sound, Hamlet created these five diverse tracks. I’ll say that the experiment worked successfully! One point I really like is the spoken words by Rachel Bauer. With her accent, the quality of her voice, and the enigmatic words she speaks, and the music accompanying her, there is a special delight for me to hear her. Transport Aerian’s “Therianthrope” is not going to be an album for people who are more into crossover prog or popular song-writing styles. It may be too weird for some and there’s quite a range of instrumental sounds that are outside the traditional rock band format. However, this is an album that some people need to know about. You! You should know who you are. This album has a message for you types. Hamlet Tinae is communicating with people like you through his music. Won’t you listen?